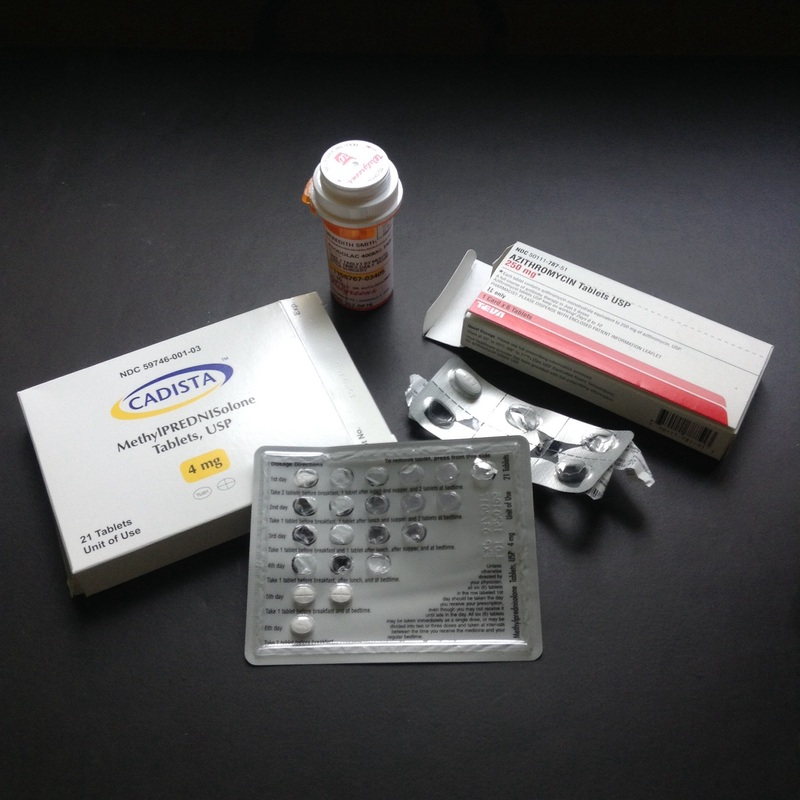 It’s hard to blog on this much medication, especially when I rarely take an aspirin, so please excuse the lack of interaction from me to your posts and comments. I’ll be around again soon. Last year I broke a tooth, horizontally, underneath a crown; there was nothing to do but yank it out and get an implant, the process for which I’ve been undertaking since last August. I will spare you the details of several bone implants, the failed post which was taken out December 23, and the redo on Tuesday. Every day is better, and I feel confident that this time will be a success. But, it’s hard to blog on Vicodin. What has helped me, more than the pain killers, is to lie curled on the couch with ice pack applied and A Clash of Kings in hand. Many years ago I read The Game of Thrones, and now my son’s obsession with the mini-series has caused me to pick up the novels again. There are a few times in my life when the stories of a series absorbed me completely. When I was in Middle School, I tore through The Lord of The Rings, marking down passages in The Return of The King I still refer to. I was in High School in 1976, and that was the time of John Jakes’ Bicentennial series. I read each novel as it came out in a matter of days. And now, I have the story of the kings and their secrets, the schemes and wiles of the myriad of characters from Harranhal to Storm’s End. I’m practically finished with Volume Two, and longing to begin Volume 3, while remembering that I’ve promised to read Naomi by Tanizaki for June’s end. And, don’t forget that July holds Boredom by Alberto Moravia to be discussed July 3-5, as well as Paris in July hosted by Tamara of Thyme for Tea. If we’re looking still further down the road, we find Roofbeam Reader’s event, Austen in August. But for now, I need to crawl back to my leather sofa and see what those kings have been up to in my absence. I wish you good health quickly. Those medicines can cloud one’s thoughts.Get well soon. I know that feeling when the meds fog up the mind & the world can appear to be on Slo mo, so hope you feel better soon. Ah, Meredith, my sympathies entirely. I, too, have had the implant process. It just takes forever to get through doesn’t it? And I didn’t have the complications that you did. So sorry about that. Here’s hoping that this post will work well and you can go on to your ‘tooth’ after a while. I got a chocolate malt after I had my tonsils out, c.1952. It was the Ur malt, the best ever. Some memories do remain. Yikes! Feel better soon! Looking forward to more Moravia with you. Ouchhh sounds annoying and painful. Feel better soon. I hope it all heals as fast as possible and that you’ve found something engaging and fast moving to carry you through. I read the first book of Games of Thrones before travelling to Belfast for a long weekend about 4 years ago when my Aunt was the Production Designer for the series, my daughter and I had a wonderful tour of all the workshops, the sculptors, the plasterers, the castle builders and the props room was amazing. I wanted to create an impression of that medieval fantasy world before seeing how they interpreted it and it was great. I started watching the TV series much later and while visually impressive, I just found it too violent to want to continue. I find it a little sad how graphic the violence needs to be in order to draw viewers in today. Another reason why the book is often better for me! Oh, no! I’ve also been through the ordeal of a failed implant… a process which took over a year. Hope you feel better soon and enjoy some great books in the meantime. Meredith, so sorry for your dental misery! I hope you feel better soon! Getting caught in a series is a great healer!! Oh gosh, poor you! I’m glad you got ice and books for comfort. I hope you feel better very soon! Enjoy your reading, Bellezza. I so don’t like taking medications. I hope you’ll recover soon. At least you seem to make good use of the foggy brain. I hope you feel better soon! I’m no fan of any dental operations, and like medications even less. Hope the recovery goes much smoother! I hope you enjoy your books! I had a tooth break off down below the bone. I had to come out. I wasn’t a fan when the dentist had to break it into small pieces and take it out piece by piece. Yikes. So, I share your dread. Oh no! That sounds pretty grim. I do hope you feel better soon, and that your tooth is all sorted out and lovely in no time. Permission to rest, curl up and indulge in fantasy is often difficult to find – I’m glad you can give that gift to yourself. Dental pain is amongst the worst for me, and like you, I dont like to take medications either. Enjoy the books and the sofa. Take care.